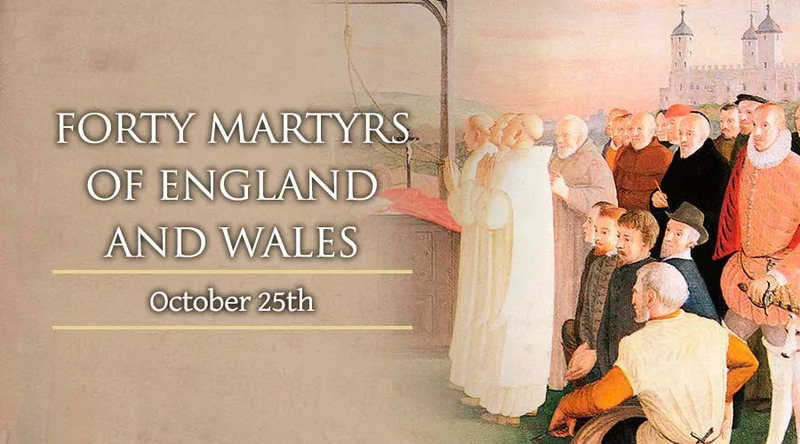 This feast, the feast of the Forty Martyrs of England and Wales, honors the hundreds of British men and women who died for their faith in wake of the dispute between the Pope and King Henry VIII during the 16th century. Many loyal Catholics were tortured and killed by the British state from 1535 to 1679. In 1970, the Vatican selected 40 martyrs, men and women, lay and religious, to represent the full group of about 300. Each martyr has their own day of memorial, but they are all remembered as a group on October 25.